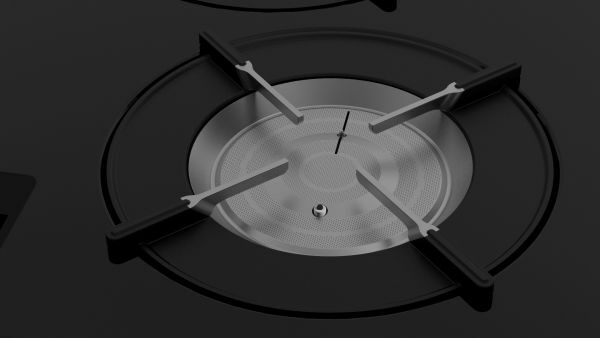 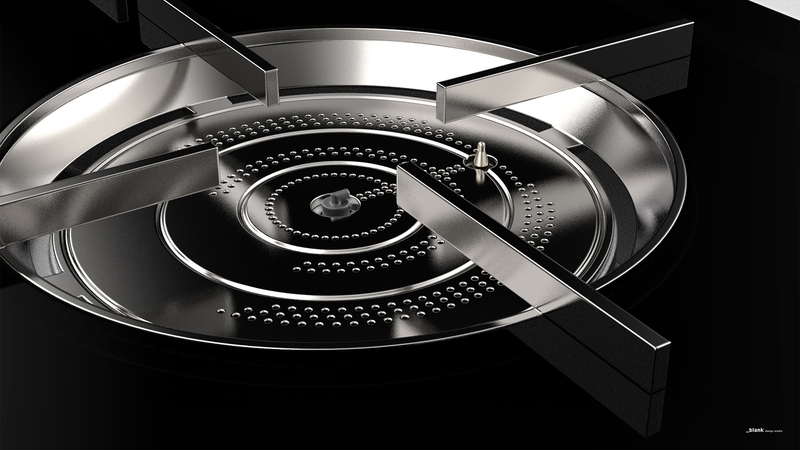 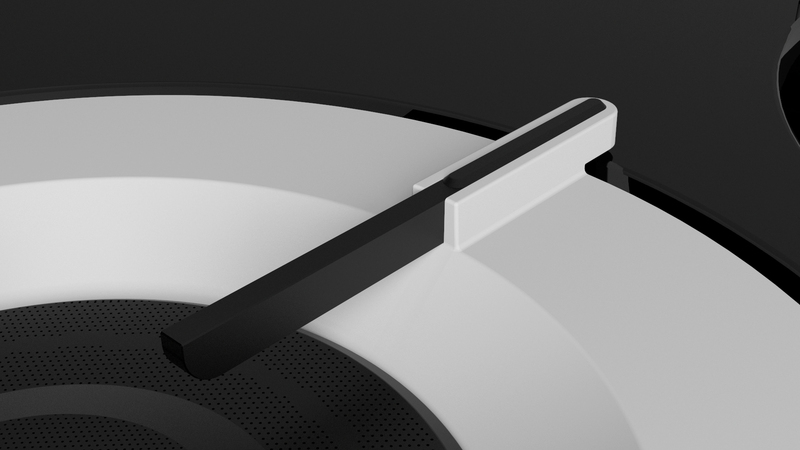 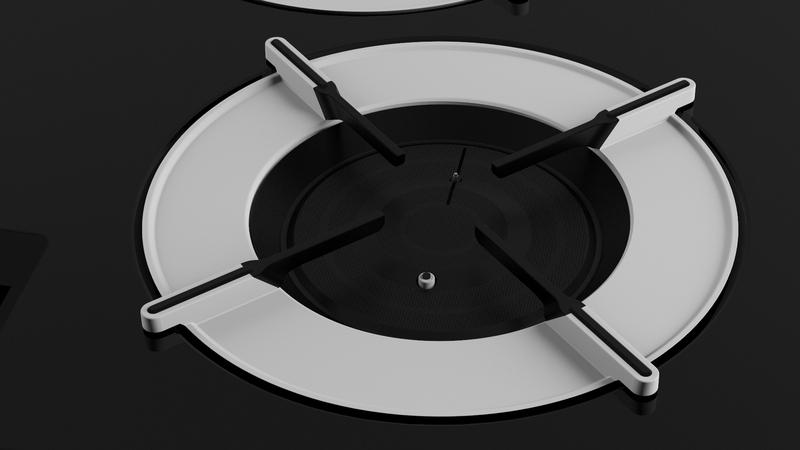 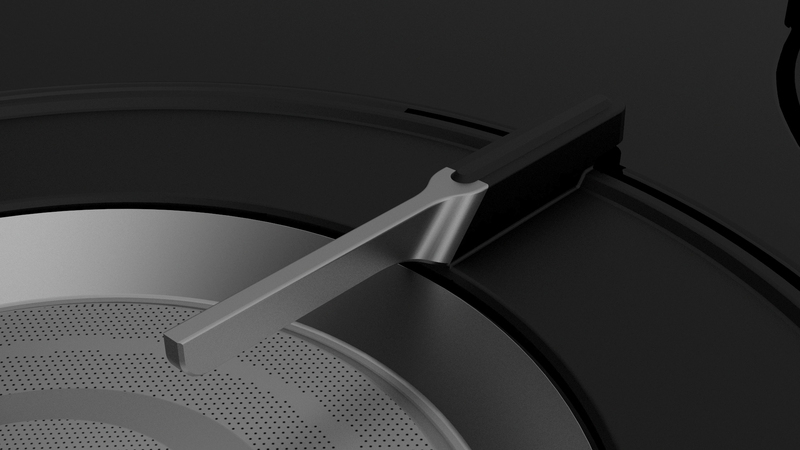 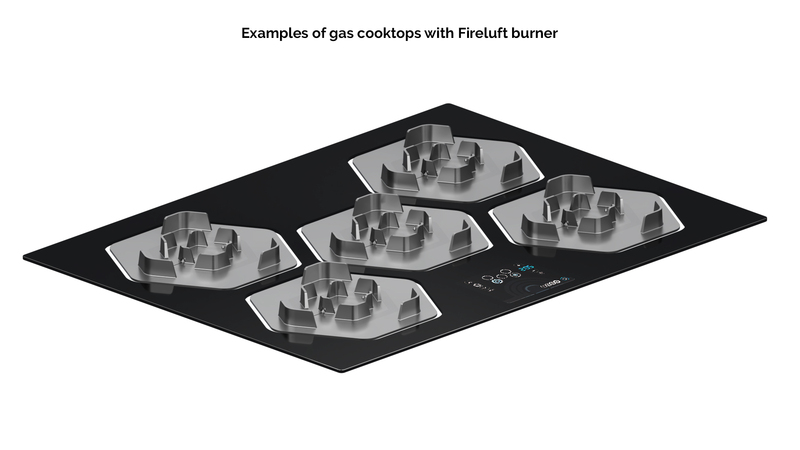 An élite burner in the cooking world, Fireluft combines the top of technology - 8 registered patents - with the fan to be integrated by the manufacturer in the gas cooktop. 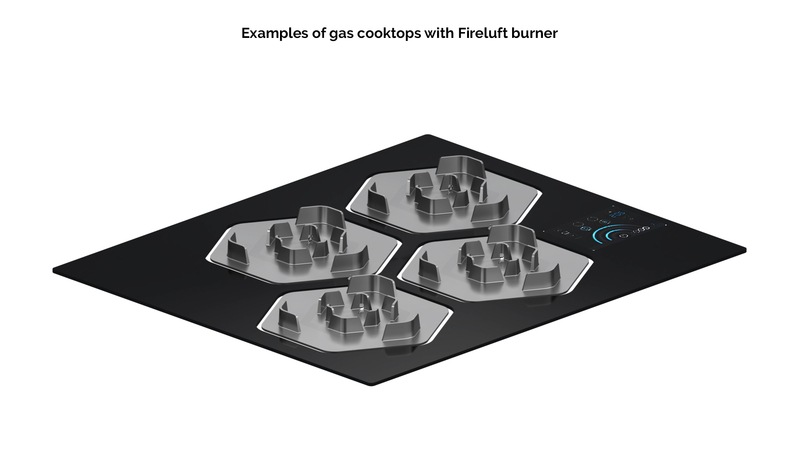 The maximum power of air and fire is released in an ultra-modern design, which is characterized by refinement and halved height of the grids. 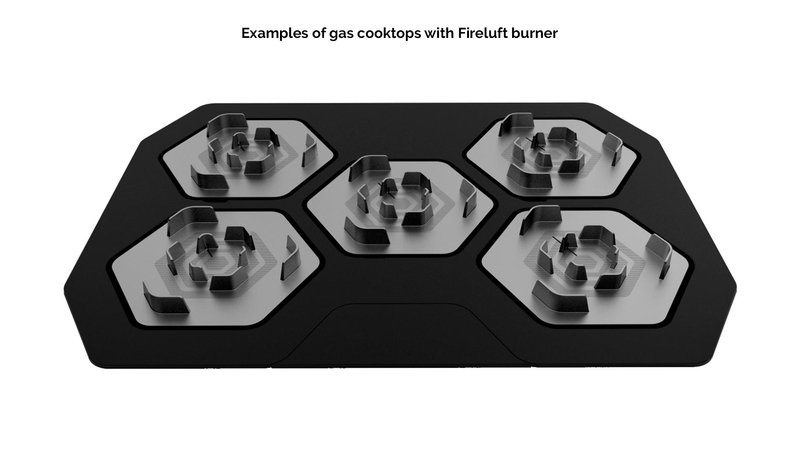 The vertical "bed of flames" without gaps in the center, offers the most complete range of gas levels in the same burner, from 300 W. The innovation of a blade of air from each burner prevents the diffusion of odors, vapors and pollutants, for the maximum attention to the Indoor Air Quality, IAQ. 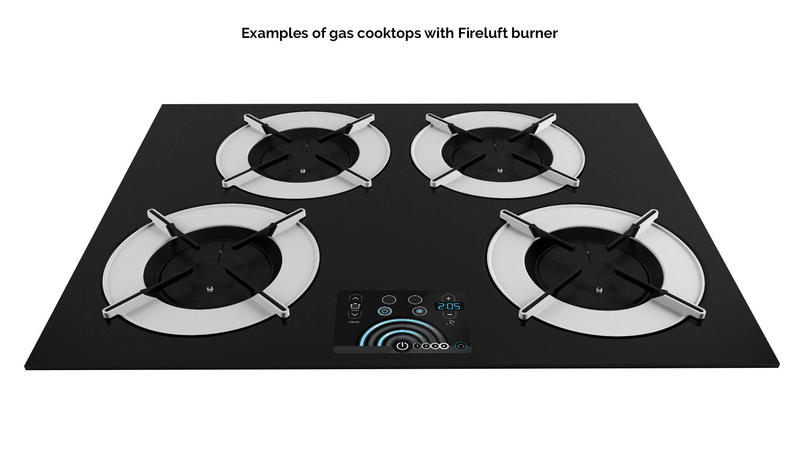 It is the right choice for kitchen style professionals. 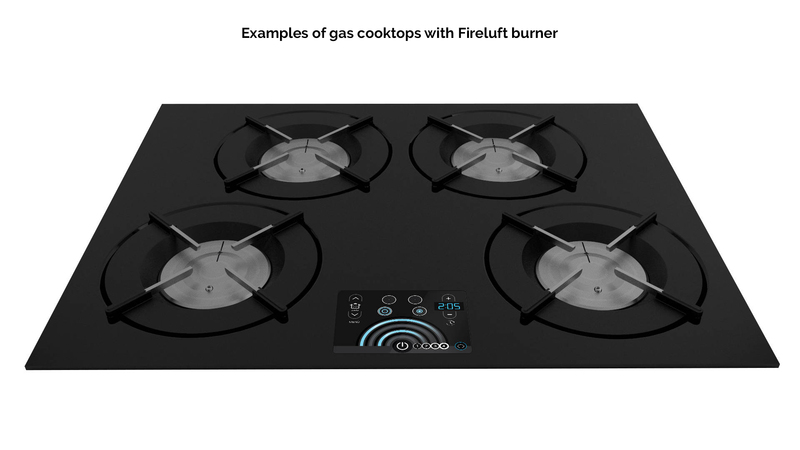 Fireluft is the new pressurized premix burner technology to reduce cooking time, the consumption of gas and the emission of pollutants, for the best Indoor Air Quality, IAQ. 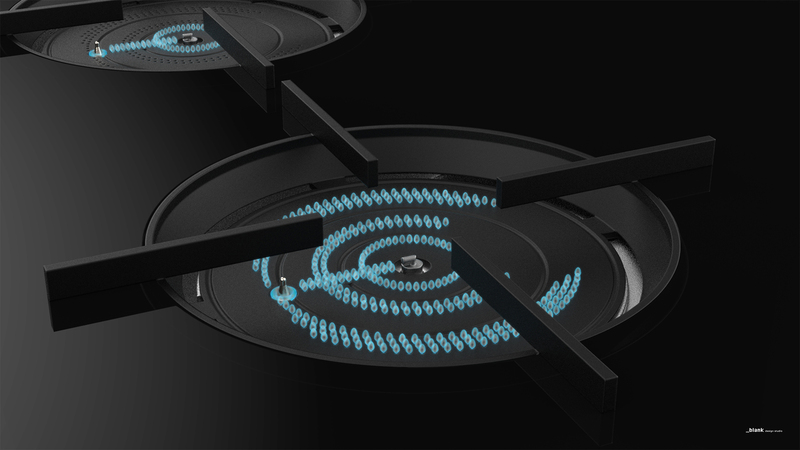 In the same burner, the rings of flame include all the different sizes, from the auxiliary to the semi-rapid and rapid, to the super rapid, to modulate cooking without ever changing the burner. 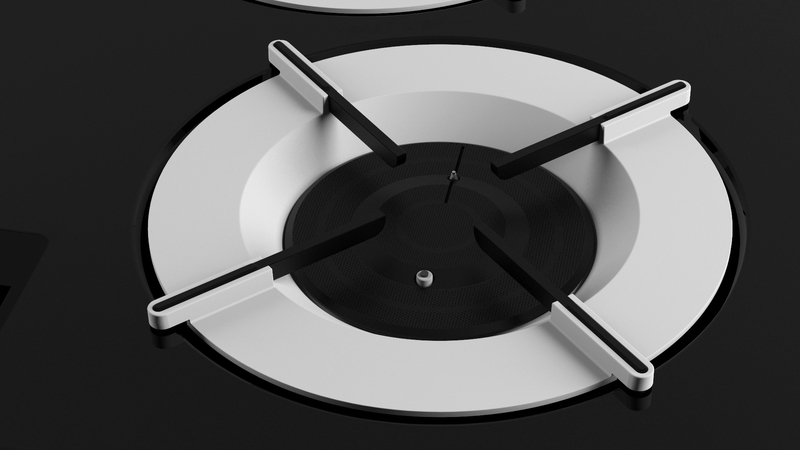 Each fire welcomes pots of any diameter, to enjoy a cooktop with the best flexibility. 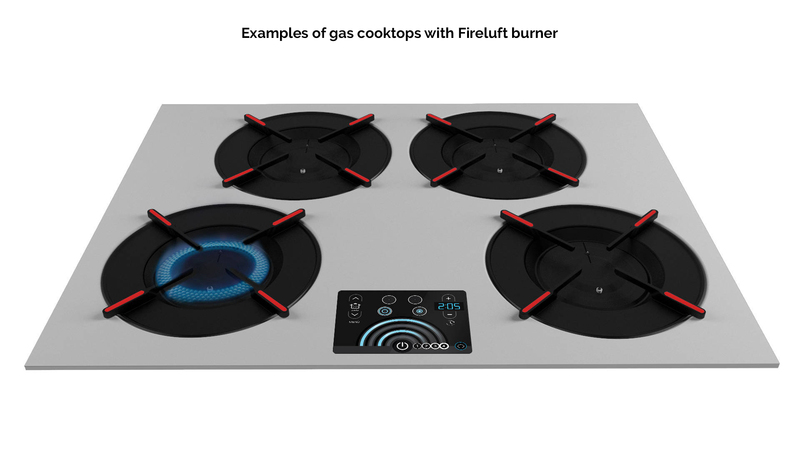 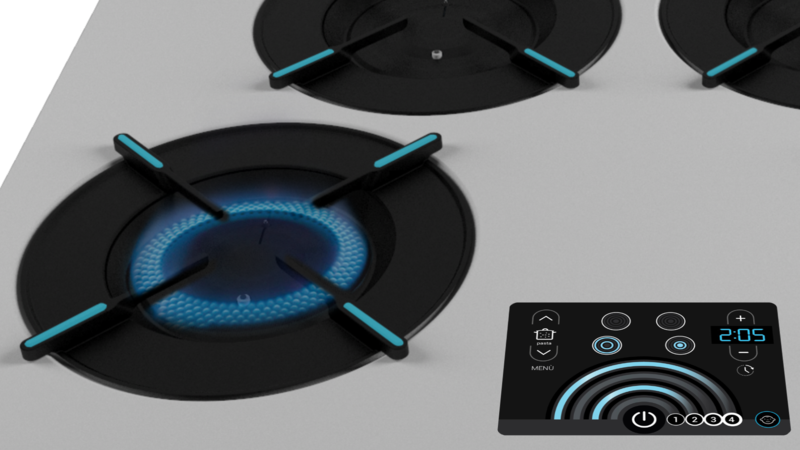 Fireluft offers the advantage for manufacturers to create the gas cooktop freely for the number and the position of the burners, also using a user-friendly electronic interface with digital control of temperatures, cooking times and maximum precision powers. 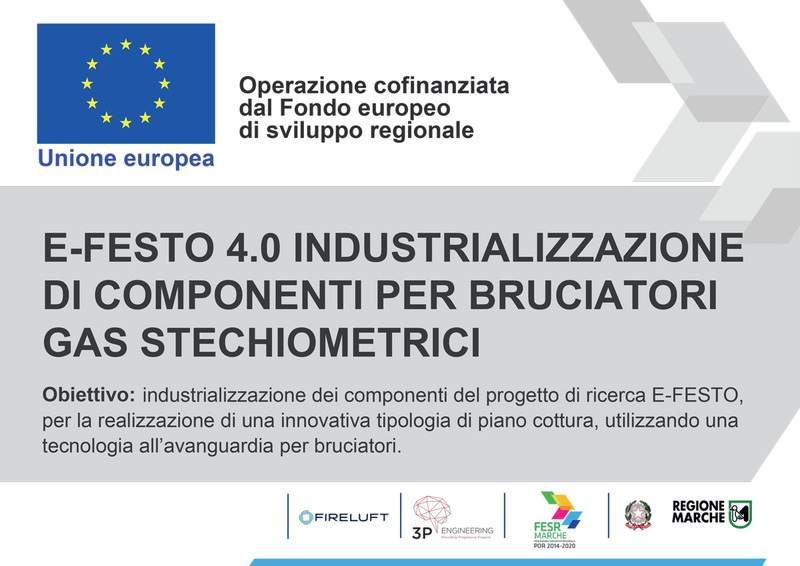 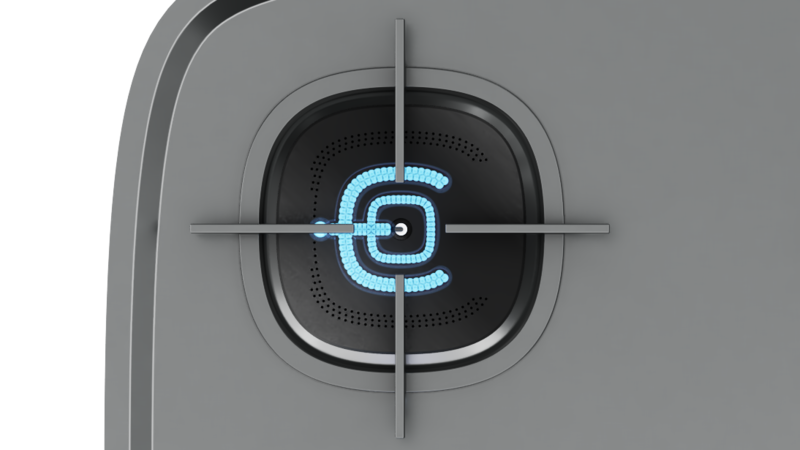 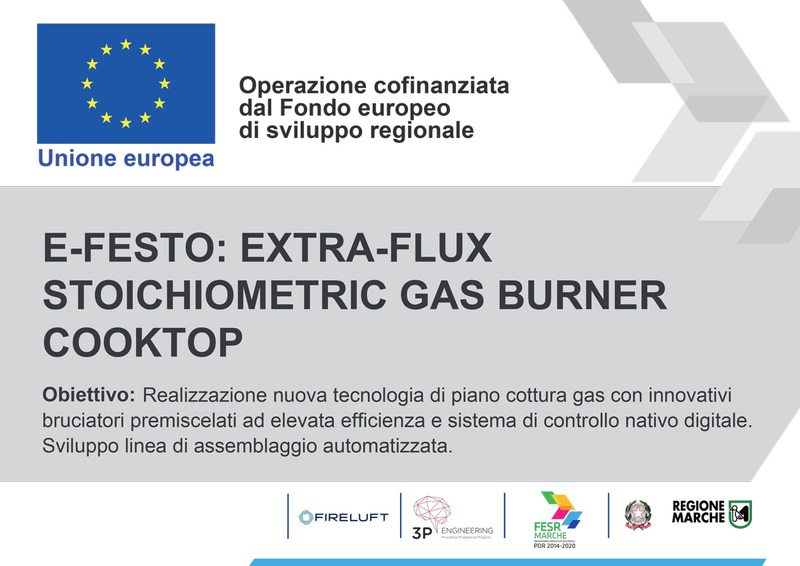 Fireluft is a new technology for gas burners that was born from the project E-FESTO E-FESTO Extra-Flux stoichiomEtric gaS burner cookTOp POR MARCHE FESR 2014-2020 - Asse 1 - Call "Promotion of research and development in the areas of intelligent specialization" with participants : 3P engineering (leader), EST - NG s.r.l., IDEA, Meccano S.c.p.a., Officina Meccanica Toni Aldo, S.I.T. 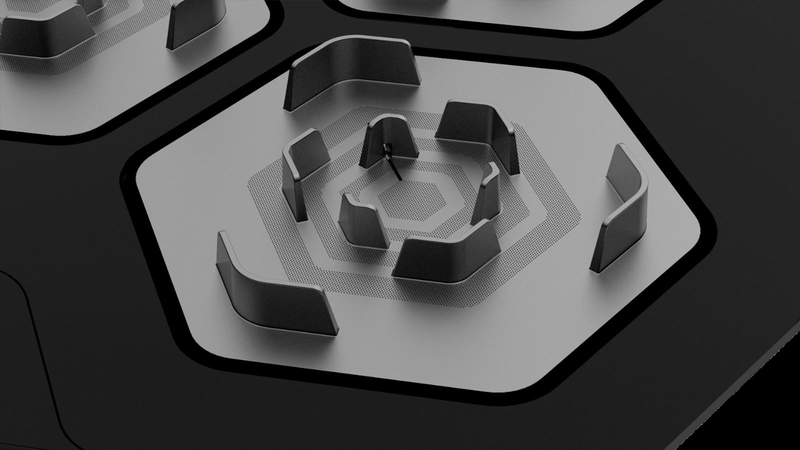 spa, System of Rosati s.r.l., UNIVPM.